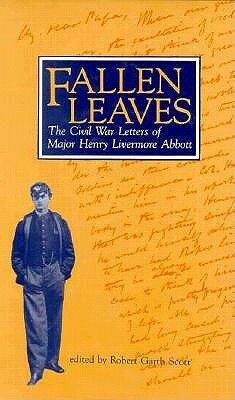 "Fallen Leaves" is the best collection of Army of the Potomac letters I have ever read. Abbott was a first-rate intellectual who nonetheless made a name for himself as a down-to-earth, competent junior officer. His prominent place in the 20th Massachusetts, Norman Hall's brigade, made him one of the army's most important and perspicacious conservative Democratic officers.